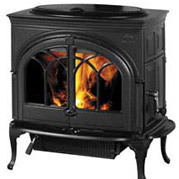 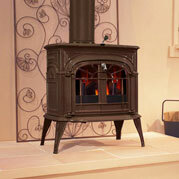 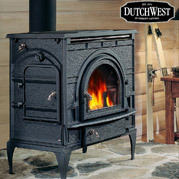 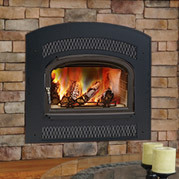 Introducing the Stratton Wood Burning Fireplace from Vermont Castings. 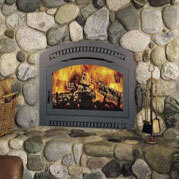 This small, EPA wood burning fireplace is perfect for any room requiring both warmth and style. 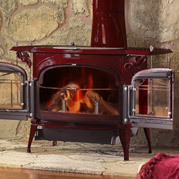 Able to hold logs between 18 and 22 inches and offering 10,100 to 27,500 BTUs per hour, the Stratton easily heats up to 1500 square feet. 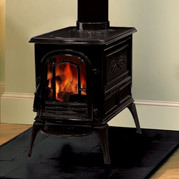 With its large viewing window, traditional black finish and cast iron construction, the Stratton will provide durability and beauty for years to come.